University of Kentucky Libraries is ending the Year of South Asia, presented by the UK College of Arts and Sciences, by offering three exhibits with materials from its collections. One honors a retiring faculty member and is a physical exhibit in the atrium of William T. Young Library; the other two offer glimpses of South Asia and are virtual exhibits of postcards from the 20th century. "Sixty Years of Scholarship: The Works of P.P. Karan" is an exhibit honoring the work of Pradyumna "P.P." Karan during his 60 years as a faculty member in the Department of Geography at the University of Kentucky, where he is a professor of human geography, as well as Japan studies, and director of the UK Indian Culture Program. The exhibit features a selection of his books published over the years along with biographical information and the book jackets from his seven University Press of Kentucky publications. One of three exhibits at UK Libraries marking the end of the Year of South Asia features the life and work of Pradyumna "P.P." Karan, professor of human geography and Japan studies and director of the UK Indian Culture Program. A bibliography of Karan's books and journal articles is available and a webpage with more detailed information about the geographer and his work has been developed. The exhibit and webpage, created by library science graduate student Brad Allard, of Louisville, Kentucky, an intern in Young Library, will remain up until June 15. University Press of Kentucky is co-sponsoring the exhibit. 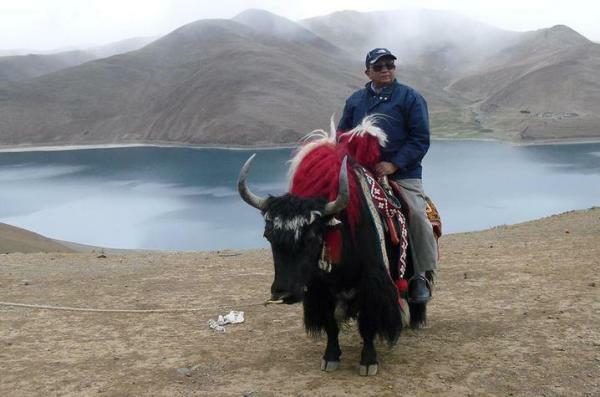 Individuals interested in learning more about Karan and his work can hear the scholar give the lecture "Half a century in the Himalayas" from 5-7:30 p.m. Monday, May 1, in Room 219 of The 90. The free public lecture, presented by the UK Department of Geography and the Year of South Asia, will include a reception. The other two exhibits are virtual in nature and are being displayed on the video walls in The Hub. Both display postcards housed in the Special Collections Research Center and deal primarily with India from the early and mid-20th century. "Early 20th Century South Asia" is a series of postcards that depict the monuments and everyday life from the region in the early 20th century. Many of the cards are of well-known and lesser-known monuments, as well as people and places from other parts of South Asia. This exhibit is running on three video walls in The Hub. The other three video walls in The Hub are showing "Views Thru the Camera: Mahatma Gandhi’s India 1945-1947" via a display of a booklet of postcards published by the Bombay Photo Shop during that time period. Collectively the postcards present various parts of India and everyday life as it would have been during the last days as part of the British Empire. The country would have been as Mahatma Gandhi would have seen it as he led India to independence from the United Kingdom. Both the virtual exhibits will run on the video walls through the end of June and can be viewed remotely in UKnowledge. All three exhibits are free and open to the public. Year of South Asia is presented at UK as part of the College of Arts and Sciences' Passport to the World Program. The program enables the college to embark on yearlong explorations of the culture and history of a particular region or country. The college engages the UK community in crucial global conversations on these areas of the world through public lectures, cultural events, coursework and travel opportunities. Previous years focused on South Africa, China, Russia, Mexico, the Middle East and Europe.